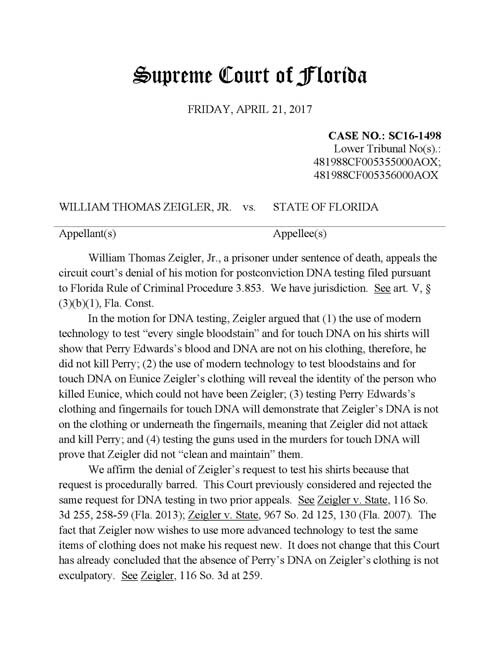 The Florida Supreme Court has denied William Thomas Zeigler’s request for touch DNA testing. I have converted the PDF to images below. 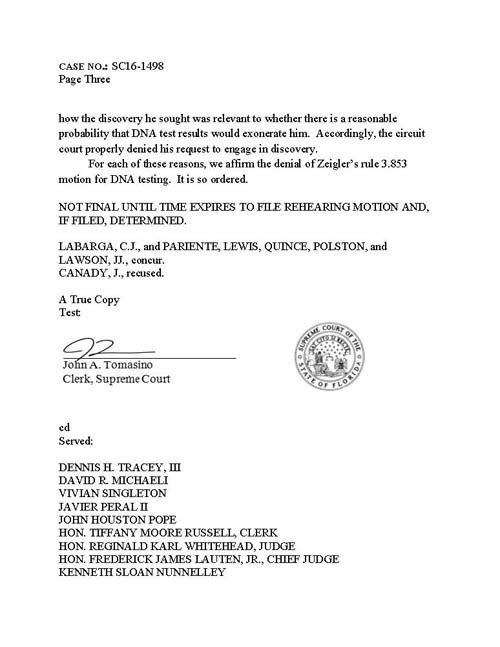 On March 31, 2016, an evidentiary hearing was held for William Thomas Zeigler to request touch DNA testing in his case. Judge Whitehead denied that request for touch DNA on July 18, 2016. On November 23, 2016, an appeal was filed in the Supreme Court of Florida. Check here for details. During their last spring semester in 2011, twenty-five undergraduate and five graduate students from Penn State University (PSU) reviewed trial documents from William Thomas Zeigler’s case. The PSU students conducted this case review as an assignment for their capstone course; a course designed to complete each student’s education in criminalistics and forensic science through self-study and exercises such as the reconstruction/review of a major case such as the Zeigler investigation. The students had to prepare a report and a presentation that included an evaluation of the strengths and weaknesses of the prosecution and the defense with respect to the available forensic evidence. 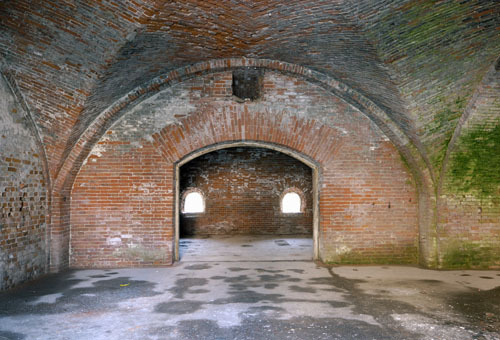 They had to consider elements such as: investigation/processing of the crime scene, evidence documentation, collection, and packaging; field tests/examinations; reports/testimony of all experts; autopsy findings as well as analysis of all other physical evidence. The students noted the lack of scene security; insufficient documentation of people entering and exiting the scene, inadequate identification of location of evidence (bullet casings, guns, bloodstain patterns, shoe impressions) on the limited crime scene sketches; insufficient and non-informative photographs of the evidence (many were out of focus, taken from a distance, not adequately labeled); and collection of evidence by officers who didn’t wear gloves or chose to smoke within the crime scene. In reviewing the trial transcripts the students believed that the defense had raised some valid points about the chain of custody of some evidence pieces. 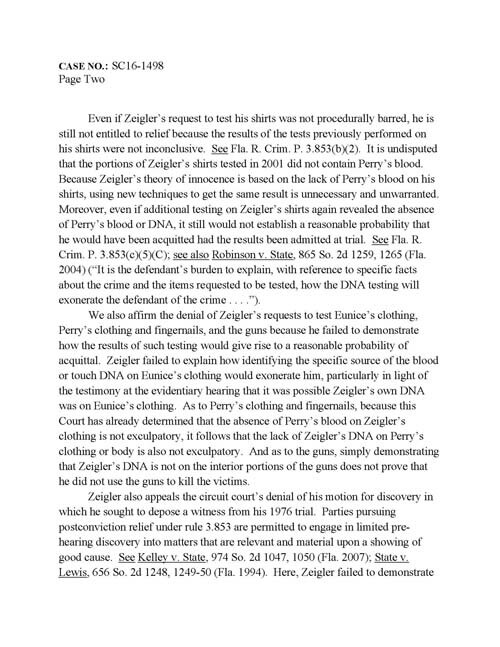 They felt that under current circumstances items such as the bloodstained clothing of Zeigler would not have been admitted in court because of the handling and packaging of the evidence. The students also found that some witness testimonies exceeded their area of expertise and that the testimony lacked scientific foundation. Most concerning was the testimony of Dr. Herbert MacDonell. Called to testify as a bloodstain pattern expert, the students believed his testimony strayed well beyond what can be derived from bloodstain pattern analysis. The students did not find him a credible witness. The vast majority of the students asserted that Mr. Zeigler’s case should be reviewed and that the on-going appeals are warranted. They felt that DNA testing on relevant items of evidence, such as the victims’ and suspect’s clothing, could shed informative light on the investigation. Some speculated that upon closer inspection of the evidence, Zeigler may be exonerated from the crime he was convicted of committing. The defense team has tirelessly pointed out prosecutorial misconduct in this case. 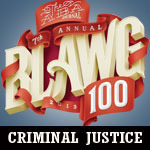 Police lied on the stand, evidence was withheld, and forensic evidence pointed to other explanations than what the state offered when it charged William Thomas Zeigler with quadruple murder that sent him to death row. Each time the consequences of the misconduct were dismissed as either procedurally barred or that the complaint was filed too late or that on its own this one single complaint would not have changed the opinion of the jury. I feel sure that IF the 1976 jury had known about ALL the evidence and ALL the misconduct it would have been convinced that there was reasonable doubt.